We’re just about to set off on a beautiful sunny day to go ski touring. I eye up my fellow ski tourers and realise that I am the only one wearing a helmet. In fact I am the only one with a helmet with me at all. The others are going lightweight and according to them the safety advantages of wearing a helmet are not worth the extra few grams! Feeling slightly odd one out, I decided to delve into the subject of helmets and ski touring a little more! As if to reinforce my observation, when I started to look through my 1000ds of ski touring photos to find pictures to illustrate this blog, could I find any of people wearing helmets? Very few but here is one of me! In the downhill ski resort skiing world the debate about whether to wear a helmet or not has been pretty heated over the last few years. This is partly due to some high profile accidents like that of Michael Schumacher who suffered life threatening injuries despite wearing a helmet. Some people say helmets encourage risk-taking behaviour, others say they are less alert when wearing a ski helmet. There is also a debate about whether wearing a helmet can actually protect you adequately in a serious collision. However the general consensus seems to be in favour of wearing a helmet whilst skiing and there is evidence suggesting that helmets do reduce the severity of injuries and can save your life. According to the National Ski Areas Association 83% of skiers and snowboarders in the US wore helmets last season (2016/17). Go back 14 years to 2002/3 only 25% wore helmets! This pattern is reflected in Europe with helmets becoming a more and more common site on the pistes. It is now cool to wear a ski helmet on the pistes! So why is the helmet wearing trend not reflected in the ski touring community? One of the main differences between ski touring and downhill skiing is the physical effort required when going uphill. This generates a lot of heat, which needs to escape! Wearing a helmet can cause an excessive build up of heat, which is very uncomfortable. Some ski tourers choose not to wear a helmet on the way up but carry one for the way down. 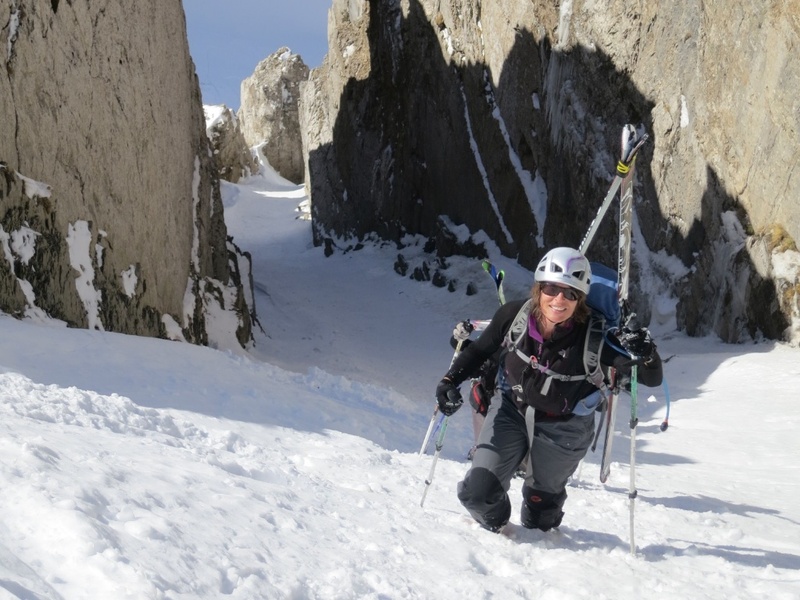 Here is one such lady who joined us on our Ski Touring Trip in the Ecrins! The safety analysis of this is that you are much less likely to fall and collide with anything whilst you are skinning your way up. You are however still subject to rockfall and if an avalanche does come your way, you have pretty much zero chance of skiing out of it with your skins on. One solution is to choose a very well ventilated helmet so heat can easily escape. 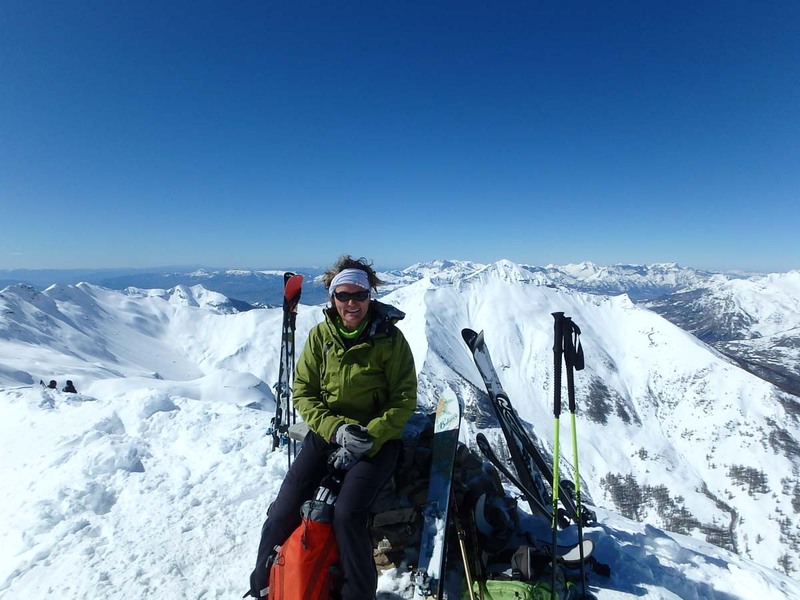 Some ski tourers choose climbing and mountaineering helmets for this reason. So what about the downhill? Is there any reason not to wear a helmet? It is true that you are less likely to collide with another skier in the mountains – there is much more space and far fewer people! However the risk of hitting a tree or a rock or being caught up in an avalanche are obviously much higher in the mountains than when skiing in a ski resort. 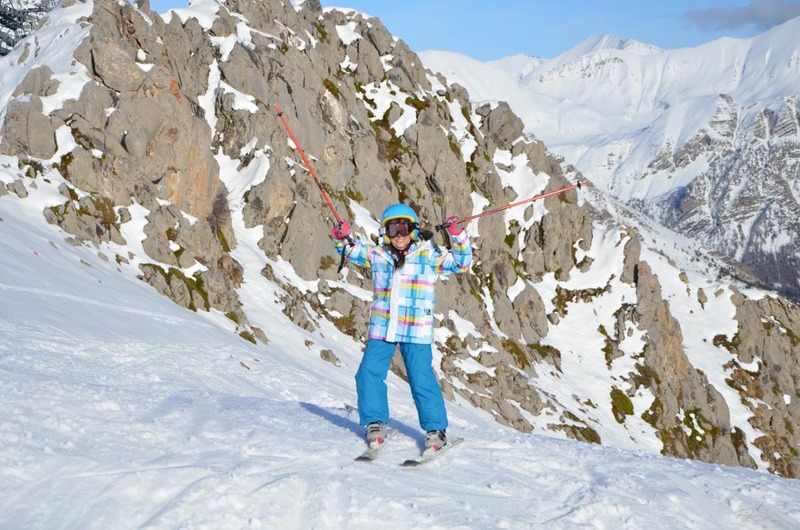 My personal view is that most ski tourers are from a generation that never wore helmets skiing when they were younger so wearing a helmet seems un-necessary and alien to them – a bit like wearing a seatbelt in the back seat! They are good skiers who rarely fall and can control their route so they think the risk of colliding with a tree or rock is pretty low. The natural assumption for them is that the only real advantage would be if they were caught in a rock fall or avalanche. Even then some will say that the chances of a helmet saving you from an avalanche triggered collision with a tree is pretty low so what is the point? Fast forward 20 years and I think the current generation of young helmet wearing downhill skiers who choose to go ski touring will do so wearing a helmet! Wearing a helmet is a personal choice and will come down to your own analysis of the risk and whether the safety advantages of wearing a helmet outweigh the inconveniences. Helmet technology is also advancing rapidly so as they become more comfortable, and adapted for ski touring, more people will wear them! I am already a convert but maybe that’s because I’m an aquarius and we are apparently way ahead of the times! For me skiing without a helmet feels like driving a car without a seatbelt. 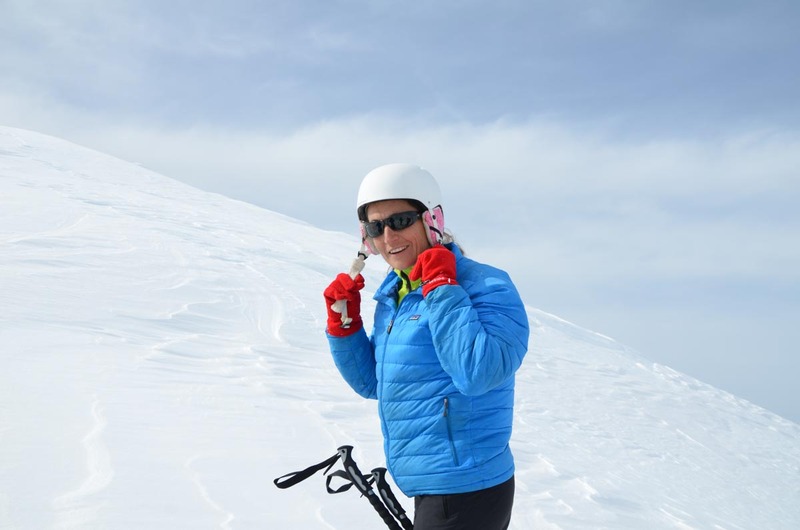 So if you want to be ahead of the times and improve your chances of survival and reduced injury in the case of an accident, join me in the ski touring helmet wearing revolution! Helmets are cool for ski tourers too. Have a look at our ski touring packages if you want to join us ski touring this winter or get in touch to start planning your trip. If you want to read more about the subject BackCountry Magazine have written a pretty good article on whether you should wear a helmet backcountry skiing or not.